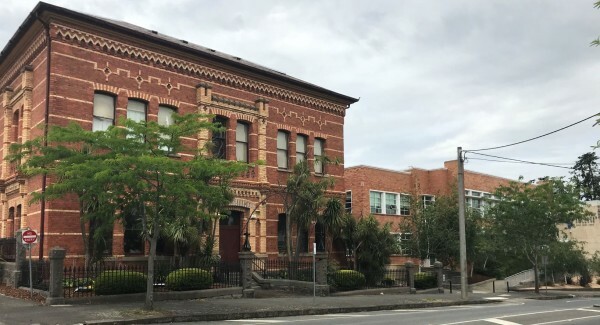 Barkly Square, 25-39 Barkly Street. ​Walk between the two main buildings and you will see us near the rear of the brick building. If you would like lessons, out of school hours. 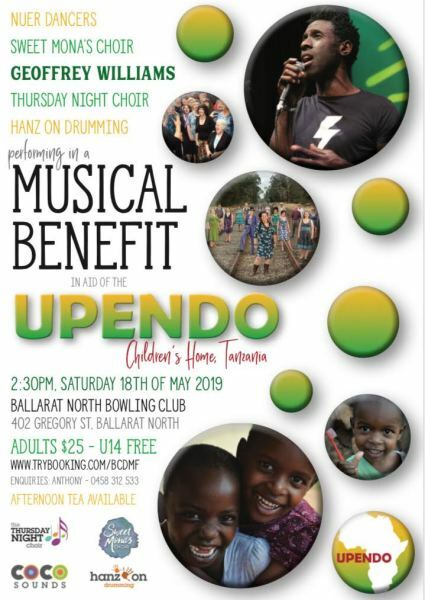 To be a valued part of the global music community, hosting workshops, performances and tuition throughout Victoria and the world, encouraging and nurturing talent and giving participants the opportunity to perform and engage in a wide range of musical experiences. 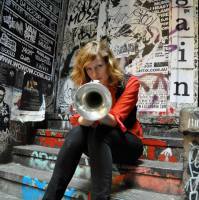 Stella and the team at CocoSounds are seasoned in delivering high-quality contemporary and world music tuition. The team has many decades of experience between them, and can fit the right learning experience to the individual. 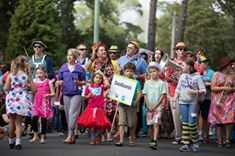 We specialise in delivering community workshops, classroom music and choirs for all age groups, with a strong emphasis on a contemporary style with a global conscience. 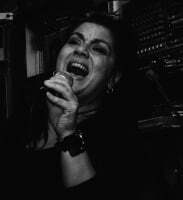 We are highly regarded at one on one lessons in singing, guitar, drums, percussion, music theory, song writing assistance and piano. 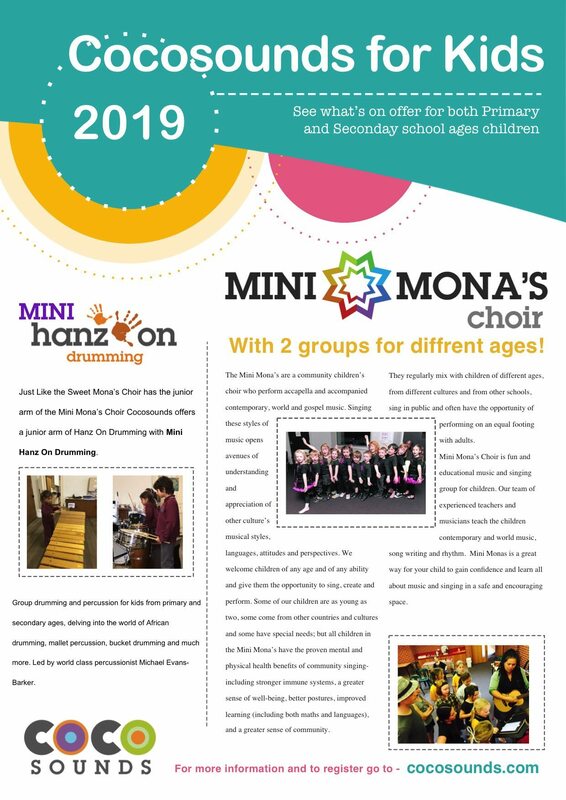 On Mondays, come and sing with the Mini Mona’s childrens choir. We have two levels of ability- Pink choir for the littlies at 4pm, and Purple, for the bigger kids, at 4:30-5:30pm. 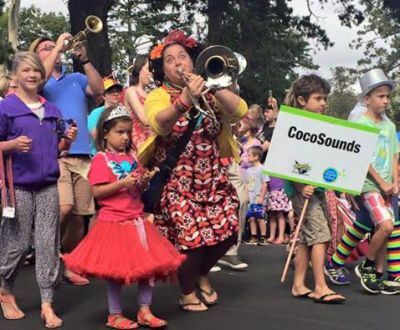 Chat to CocoSounds to find out where your child fits. Children who grow up hearing music, singing songs, and moving to the beat are enjoying what experts call “a rich sensory environment.” …Researchers believe they forge more pathways between the cells in their brains. 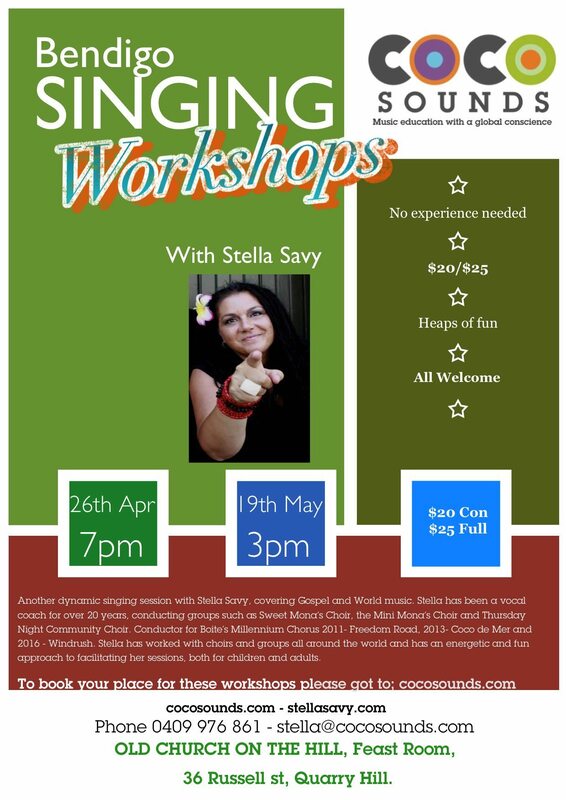 In 2003, Stella Savy and Dani Fry established Vocalise music school in Ballarat. 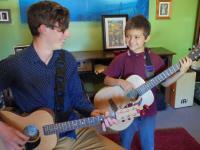 They built up a diverse music school offering high quality tuition for individuals and groups. 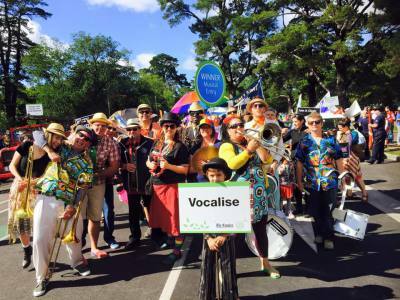 Vocalise provided a range of in-school music programs, from one-off music sessions, through to term-long programs and regular teaching positions, workshops for community groups, schools and festivals. 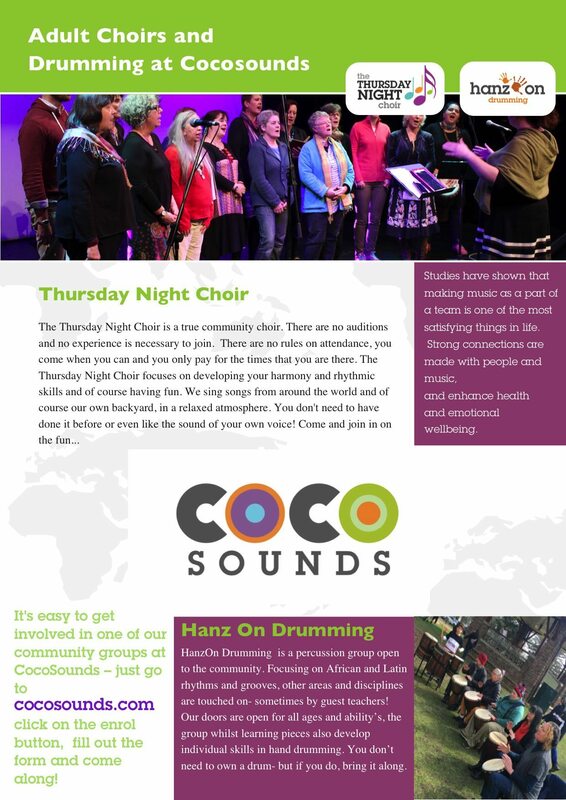 In 2015 CocoSounds was born under the direction of Stella, continuing the legacy of Vocalise. 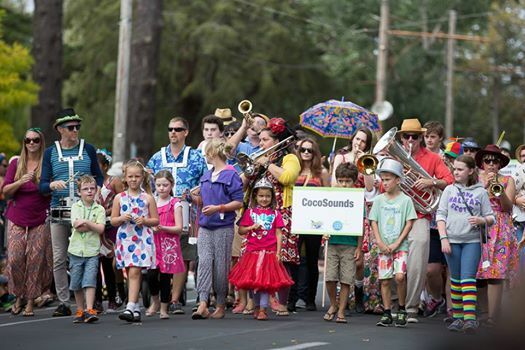 CocoSounds has expanded into online tuition and international music tours. CocoSounds is re-defining music tuition and participation.